Folk-Pop version of 1960s psych pop classic is a "done-me-wrong" song about the writer's then-wife and mother-in-law. Inspiration was also drawn from the matchstick-style figures in a painting by artist L. S. Lowry that Rossi was viewing at the time. A capella Tom Jones cover in '50s doo-wop style. 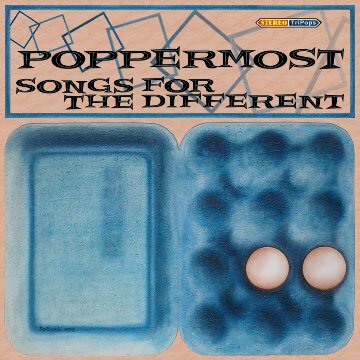 Songs for the Different is the fifth full album from pop and folk-rock duo Poppermost, and is a 19-song collection of some of the music created since the previous album in 2012. Over the years, friends and fans have become a part of the Poppermost family, and have earned the affectionate moniker, "the Different." The enjoyment of keeping them entertained means that Poppermost singles usually get released as soon as they are finished, rather than waiting for a full album of music. Many of the songs here were written or recorded with “the Different" in mind, and occasionally with their assistance, so Songs for the Different is dedicated to them. Alongside Poppermost's "retro-flavored" originals on the album, their covers pay homage to Syd Barrett, Cream, Cat Stevens, and Harry Nilsson. Upbeat, folk-rock song about successfully living life on one's own terms. 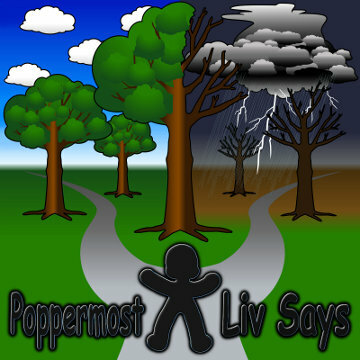 A song about following one's dreams in spite of adversity, using rain as a metaphor for life. The original was released in 1968. 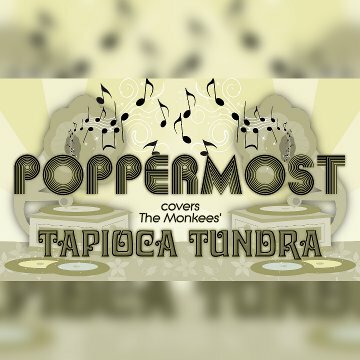 We decided NOT to attempt the Monkees' glorious "psychedelic - pop" production, but rather to present our version as a '60s "California sunshine pop" single filled with 4-part vocal harmonies. Bright, uptempo Cupid's arrow filled with acoustic guitars and pretty three-part harmonies. Sounds like the laid-back California rock of Crosby, Stills, & Nash; early Eagles; and America. Pop Rock sing-along topical satire about texting and the change in today's communication. An acoustic ballad that sounds beautiful and uplifting while reporting from the painful sidelines of a freshly broken relationship. An undercover love song disguised as deep-fried rockabilly honky-tonk boogie. A mid-tempo retro '70s acoustic-based soft rock tune to commemorate the birthday of a friend. A daughter's loving birthday present to her father in the style of a '70s country rock romp. Upbeat pop/rock song in the style of mid '60s California pop vocal bands, written in tribute to a dear friend as a birthday present. An up-beat indie acoustic song about finding "perfect love." Haunting, mid-tempo song about saying goodbye to a bad situation. Upbeat, catchy pop/rock song about life memories frozen in time via the power of photographs. Up-tempo Spector "Wall of Sound" style song about a girl who longs for an unattainable relationship where happiness can only be found in her "lonely dreams." Up-tempo shuffle in the form of a lullaby. Swaggering hard rock song about "life at the bar." A quirky up-tempo song about longing for something different and special. Merry Christmas from Poppermost, TriPops Music, and Trimordial Studio Las Vegas; Alex, Roy, and Debbie. Recorded and mixedat Trimordial Studio Las Vegas. 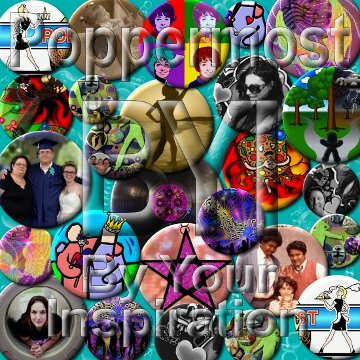 By Your Inspiration is a labor of love inspired by our friends and listeners, who are affectionately known as "the different." 12 of the songs were written for the winners of our 2008-09 "Especially For You" song contest, and 4 were written as personal gifts from the band. 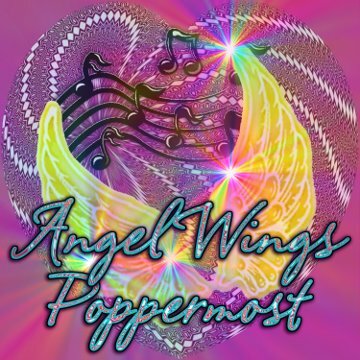 Musically inspired by the best and brightest hooks from pop and rock's golden age, these new songs are filtered through a kaleidoscope of old school sound and musical vision. An indie acoustic folk birthday song written especially for a friend and Poppermost supporter. Third (and final) recording of this brisk pop rock tune with sunshine pop vocal harmonies, written as a birthday gift for the song's namesake the day before she turned 18. 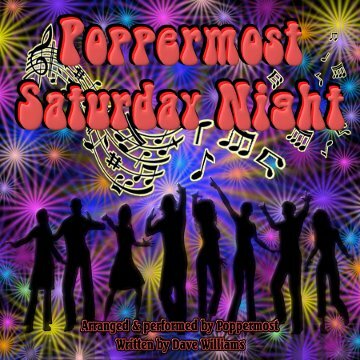 Poppermost's lively arrangement and performance of a tune by Las Vegas songwriter, Dave Williams. It is a livin', lovin' tribute to '60s Brit-Pop and '70s anthem rock. Mid-tempo FM rock song inspired by the photography of Christine Michel. 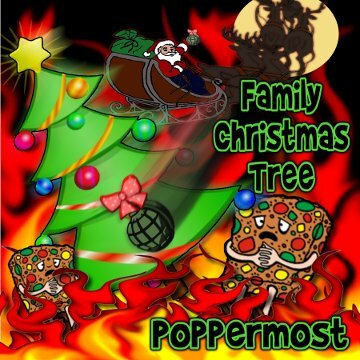 Brisk tempo pop rock ode to the nightmare of dealing with family at Christmas time. For film, TV, advertising, mobile, web, audio recordings, or any other use. TV or radio advertising music; & film, movie, or TV song placement & full soundtrack composition. "a. All Is Not Forgiven"
A dialogue between apologetic father and bitter, resentful child that ends with a joyous call to celebrate life. With its pop sensibility and grand orchestral / choral sweep that recalls classic songs like "The Boxer," "Hey Jude," and "Champagne Supernova," this is the magnum opus in the Poppermost catalog... so far. A quick piece of boy-girl flirtation in the form of a 2 and a half minute pop song. 23-year-old writer composes this type of song to impress his first serious love interest. Thank you, Aimee. What else can I say except I love you, Debbie. A musical mosaic written and performed in honor of the youngest member of the Poppermost family. Remember that you CAN be anything you want to be. Dare to dream! The thrill of victory and the agony of watching all of your friends grow up and get married. 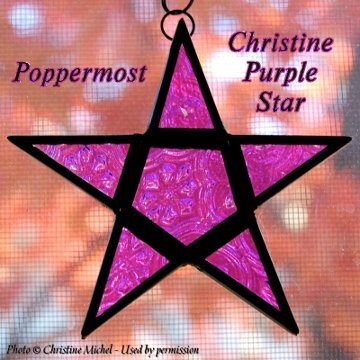 This is a song written for another special member of the Poppermost tribe. Thanks again for the Beatles poster, Kristen! A two minute commercial for love and peace again. It's been too long since the "Summer of Love" gave us a glimpse of what COULD be. A slice of sunshine for that special person who is always there for you when life becomes a tragic comedy of errors. Special thanks to Brian Hudson. Loosely based on the early California-style country-pop of the Eagles and Poco. See a "My Condition" music video on YouTube with bull ridin' "Cowboy Alvin." A Replacements-style rock song about the folly and privilege of youth: buddies, booze, and bravado. Folk music reflection about the day of the Rodney King Verdict and the resulting riots in Los Angeles, written while it all happened. We all feel like ugly ducklings, anxious for the day when we turn into swans. The waiting is always the hardest part. 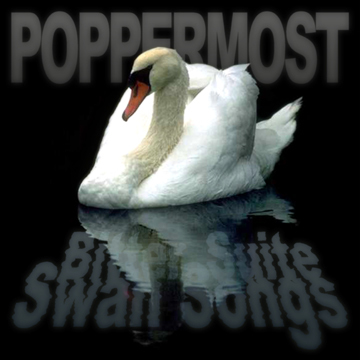 Bitter Suite Swan Songs, released on our 6th anniversary, July 4, 2007, is the sound of Poppermost growing in confidence as our musical ideas become more potent. The disc shows a wide and rich musical palate where power pop, choirboy harmonies, and orchestral passages rub shoulders with rock and biting folk music social commentary. The eclectic musical diversity of Bitter Suite Swan Songs showcases the best songs Poppermost has to offer to date. Clear your mind and prepare to "feed your head" with some of the best new indie music you've ever heard. Written, produced, recorded, and mixed by Alex Oliver & Roy Rendahl at Trimordial Studio Las Vegas, using Fender Strat electric guitar and Fender Jazz bass; Martin acoustic guitar; Brownsville electric guitar; Zoom guitar effects pedal; Ernie Ball guitar strings; Rotosound nylon wound bass strings; Gallien-Kruger bass amp; Shure SM57 and SM58 mics; recorded on a Tascam 688 analog cassette 8-track mixer / recorder on Maxell tape; Yamaha electronic drums and keyboard synth; ART digital reverbs; Furman power conditioner; Aphex Aural Exciter; DOD graphic EQ; Alesis EQ, compression, and power amp; Audio Logic parametric EQs; JBL studio speakers; Sony headphones; Sennheiser headphones; Olympus 35mm film camera with Kodak film; mixed to SonicWORX Artist Basic on an Apple Mac G4. Album graphic art and design by Roy Rendahl at Trimordial Studio in Las Vegas. Songs mastered by Jeff Bower at Digital Media Co-op in Las Vegas. CDs produced at Odds On CD & DVD Manufacturing in Henderson, Nevada. 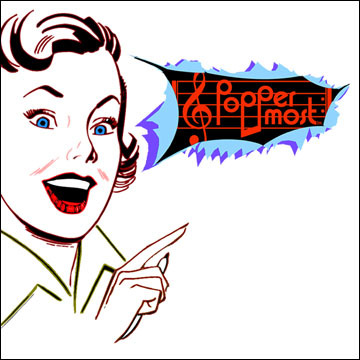 Poppermost music is registered with ASCAP. Old in influence, but new and inventive in spirit, Absolutely Sonic is a muscular 12-song collection of high-voltage, catchy rock about "living life on your own terms." Highly infused with snarling guitars, infectious rhythms, clever lyrics, and classic 70's FM rock spirit, this sonic journey to "absolute rock and roll heart" is not for the faint of heart. 13 second "your attention, please" lead in. Rock song about a modern working woman and her end-of-the-day loneliness. Upbeat rock pop song about "relationship meltdown" and self preservation. "The pitfalls of pride" wrapped in a hard rock shell. Rock and roll "advert" for living life on your own terms. The aftermath of love, dressed like the Byrds. Acoustic track about feeling trapped and unable to soar. Tribute to Sam Philips and the sound of Sun Records. Southern-fried slide-driven rock song about finding success and self-fulfillment. Rock pop song about a man creating the ultimate woman companion using pencils and crayons. A tribal drum-based rocker condemning the lies and secrets of a past love. A bonus track (ala Harry Nilsson). This song is a tender tribute to a boy's beloved dog, his furry best friend. See a "Duchess" music video on YouTube with shots of a number of dog friends of Poppermost. 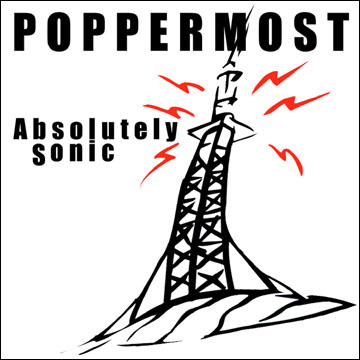 The Poppermost rock trio's Absolutely Sonic album is $10 plus S&H. 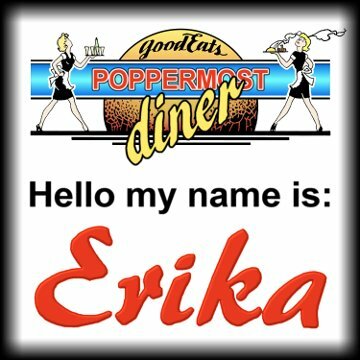 Please call 702-985-2278 or email pop@poppermost.com for more information. Alex Oliver: Lead singer / songwriter using acoustic and Fender electric guitars with Guitar Research amp. Roy Rendahl: Fender Jazz electric bass guitar with Gallien-Kruger amp, recording engineer, and graphic design. Produced and mixed at Trimordial Studio Las Vegas by Alex Oliver and Roy Rendahl. Recorded using Shure SM57 and SM58 mics, with a Tascam 688 analog cassette 8-track mixer / recorder, and mastered to SonicWORX Artist Basic on a Mac G4 computer. An up-beat world beat piece about finding "perfect love." See a "Key West Cinnamon Sunshine" music video on YouTube with photos of Key West that Roy Rendahl shot. Mid-tempo piano-driven pop ode to the hard working modern woman. A mid-tempo rock ballad written about a young woman's lost battle with cancer. Love strikes again in this mid tempo song about the many moods of a young girl. A moody acoustic instrumental piece that soars like a high-flying bird. An up-tempo pop rock song about a man who creates the "ultimate" girl using pencil and crayons. A tribal-drum based rocker condemning the lies and secrets of a past lover. A commentary on religion, guilt, and redemption, with orchestra and choir. See a "Where the Guilty Prayed" music video on YouTube with shots of The Las Vegas Strip and the Bellagio Hotel by Roy Rendahl. Alex Oliver: Lead singer / songwriter using acoustic and Fender electric guitars with Crate amp, and Yamaha synth keys and drums. Recorded using Shure SM57 and SM58 and EV 667A mics, with a Tascam 688 analog 8-track cassette mixer / recorder, and mastered to SonicWORX Artist Basic on a Mac G4 computer.